Alexandra Headland, Aroona, Banksia Beach, Battery Hill, Beerwah, Bells Creek, Birtinya, Bli Bli, Bokarina, Buddina, Buderim, Caloundra, Caloundra West, Chevallum, Coochin Creek, Currimundi, Dicky Beach, Diddillibah, Eudlo, Flaxton, Forest Glen, Glenview, Golden Beach, Glass House Mountains, Ilkley, Kawana, Keils Mountain, Kings Beach, Kuluin, Kunda Park, Landsborough, Little Mountain, Meridan Plains, Marcoola, Maroochydore, Minyama, Moffat Beach, Mons, Montville, Maleny, Mooloolah Valley, Mooloolaba, Mount Coolum, Mountain Creek, Mudjimba, Pacific Paradise, Palmview, Parrearra, Peachester, Palmwoods, Pelican Waters, Shelly Beach, Sippy Downs, Tanawha, Twin Waters, Warana, Woombye, Wurtulla. If your suburb is not on the list, please give us a call. All Building & Pest Inspections include a Thermal Scan of the property using a Flir e60 Thermal Imaging camera. Thermal Imaging aids in detecting moisture and termite issues. 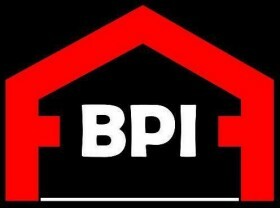 BPI can also co-ordinate Electrical Inspections, Plumbing Inspections & Pool Safety Inspections. Fully Insured, Licensed, and Qualified. We are one of the only businesses using the Latest Thermal Imaging Technology! You get the owner of the business, Chris Jacobson, we do not outsource work. Reports emailed within 24hours of the Inspection. Have been successfully providing Inspection Reports since 1999.